[August, 2017] I bought this bottle for 49,50 Euro in May, 2012. 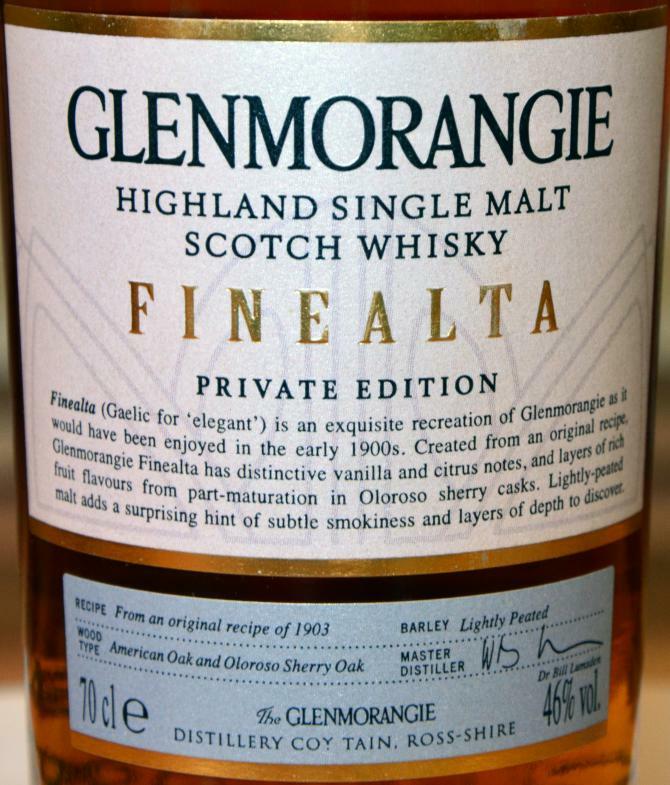 The first Glenmorangie private edition Sonnalta was a really stunning and absolutely clean sherry release that I liked very much. But the private editions of the last years show the dilemma with "designed" whiskies - it simply gets harder from year to year to create a new idea that is at least as good as the older ones. Actually, that is impossible and so I turned back to this older (second) private editions to re-taste it tonight. The colour is deep copper and the texture shows big tears and slow legs. The nose is that of a typical "modern" (aka designed) whisky with significant wooden notes besides the sherry (from the virgin oak casks). In that sense the marketing story of the "old recipe from 1903" is simply nonsense. Nevertheless I like this nose. The initial mouthfeel is warming and a little coating, no distracting moments. 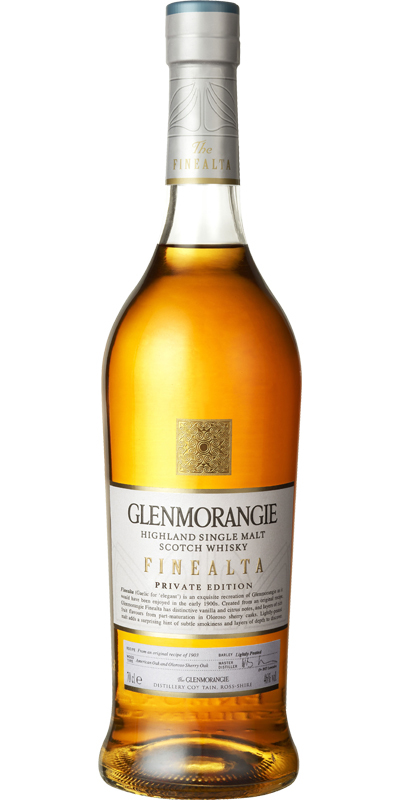 The taste is smooth and mellow mainly on sherry-induced flavours in a firm wooden structure. All nicely balanced and delicious but not with different layers. The finish is of medium length and a little chocolatey with some spicy and bitter notes from the virgin oak. I call that enjoyable. Water is not needed as it both flattens the dram and adds bitter-adstringent notes that I do not like. Clean, smooth, very light peat with subtle Sherry. Caramel, citrus, cherries, Sherry, vanilla and pleasant, less than overbearing peat notes. Short to moderate. Olorosso Sherry Oak notes linger with some tart Apple peel and dried fruit.